Are you in a career transition? Trying to determine what you want to be when you grow up? Wanting to create a business that is successful? Desiring to integrate personal values with your work life? We are experts in the field of career development. Whether you are a college student trying to figure out what to major in or a mid-life career changer trying to create more work/life balance, we can help! 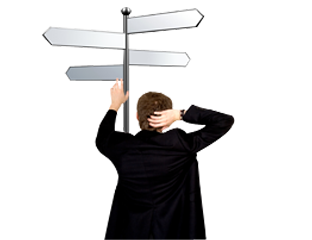 If you are like most people involved in the process of career or life transition, you know that it can be a challenging, even daunting task trying to sort out all the issues and concerns. With the help of a Career Coach, you can begin to unravel the mystery of how to discover a career that is right for you. We offer expert career services to individuals who are looking to create a more fulfilling life. We offer a variety of services to assist individuals in finding just the right career opportunity in Shasta County. Whether you are looking for career opportunities for yourself or a trailing spouse, our goal is to help you become employed as soon as possible. To that end, we offer services that prepare you to be a better, more informed job candidate, with the ability to successfully launch your job search campaign. Each program is customized to meet your specific needs, ulitlizing a wide range of service options, including employer contact information, resume and cover letter development, and company research. We believe in getting to know you so we have a better understanding of your life and career situation before embarking on a client relationship. Our FREE consultation is designed to assess your needs, help you map out a plan of action, determine if and how we can serve you, and answer all your questions. Rarely do things change in life without taking Action. Calling us for your FREE consultation is the first and perhaps most important ACTION that you can take to move yourself forward.